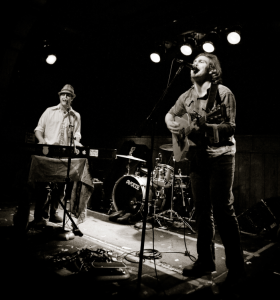 Sklut and Weston have since honed a unique brand of New Orleans infused Americana, mixing rock and roll, folk, country and roots music on the piano and guitar with a focus on tightly knit vocal harmonies. Jerry Lee Lewis, Dr. John, Billy Joel and Ben Folds influence Tommy’s rock and roll piano style, while John’s guitar styling echoes Bob Dylan, John Lennon, Paul Simon and David Rawlings. Their debut EP titled “Home” debuted May 17, 2013 and is available here or at iTunes, Amazon, and more. says he was ruined at birth. Growing up in a musical family Tommy started Suzuki piano at 3 years old. His mom and dad encouraged and exposed him to classical, jazz and musical theater. By the time he was 13 the Beatles, popular music and chord progressions were in the forefront of his musical vocabulary. To date Tommy has a repertoire of hundreds of covers and an ever growing collection of original tunes that are influenced by artists like Billy Joel, Elton John, Ben Folds, Dr. John, and Martin Sexton. At 19 while studying music at Michigan State University Tommy started appearing regularly at Rum Runners dueling piano bar in Lansing Michigan. He quickly began to sub in clubs all over Michigan and the midwest. After graduating with a bachelor’s of arts in music and classical voice he was one of 5 select players from around the United States to help open up Crazy Pianos in Miami Florida. Tommy currently lives in Chicago Illinois and while playing dueling pianos continues to write and perform with musicians from around the world. His collaboration “The Right Thing” with singer-songwriter Ashton Moore won Michigan State University’s Award for Excellence in Diversity in 2008. If being a musician is a fault, John comes by it honestly – his parents met when his father was referred to be the piano accompaniment for his mother’s French horn senior recital. When he was four years old, John fell from a jungle gym. In the fear that he may have suffered a concussion, his parents woke him in the middle of the night and asked, “Who is the greatest composer of the 20th Century?”. His response was, “Stravinsky!”. As a child, John studied classical music at the piano for several years, but found his true calling in the dusty grooves of his parents’ classic rock and pop collection. “I was mesmerized by the color of the late-60s’ psychedelic recordings, the belly-bursting soul of the Motown sound, and the raw, larger-than-life energy of my favorite southern rockers.” Most of all, he grew increasingly interested in the history, construction and production of the popular song. As John’s influences expanded, so did his experience and influence. In 2003 he established his first group, AEquitas in which he acted as the principal songwriter and singer (the group has long since disbanded). 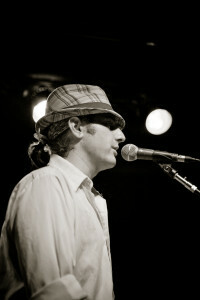 In 2007, John joined the group The Buzzkills – quickly establishing himself as one of the primary songwriters, guitar players and singers for the group. In the subsequent years, The Buzzkills became a successful original music and cover act in the Midwest – performing all over Wisconsin, Illinois, Indiana, Ohio, and Kentucky, as well as in Arizona and California. 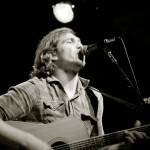 All the while, John has managed his own solo music career as the artist John Charles Weston (see John Charles Weston) – also performing and writing all over the West, Midwest, and in the South. Presently, John lives in Chicago, IL where he divides his time between songwriting, recording, performing, and teaching music. In 2010 he co-founded the group Sklut and Weston with his songwriting partner, Tommy Sklut (see Sklut and Weston). Sklut and Weston have since achieved success in the Chicago original music scene. He has also co-founded the Sklut and Weston School of Music (see Sklut and Weston School of Music) – bringing after school music programs to students on the Near North Side of Chicago. John is a member of NSAI (Nashville Songwriters Association International), CSC (Chicago Songwriters Collective), and has been an integral part of each of the following groups: Hotfoot Teddy, the Usual Suspects, and John Charles Weston and the Broken Strings.